Holidays on a wine-growing farm. 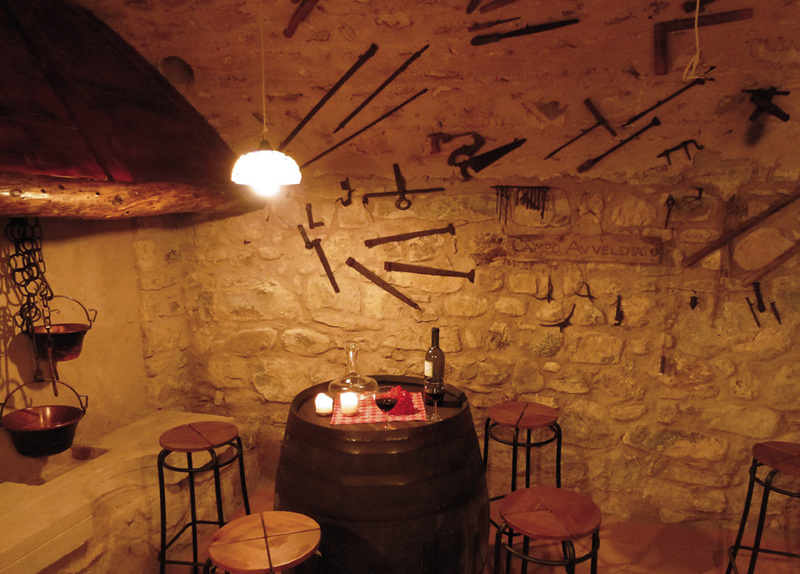 The Agritur Tenno- Bio Natura is in the little middle age town of Tenno in the north of Garda lake, 428mt a.s.l. 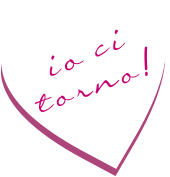 only 5 Km from Riva del Garda and the lake Garda, and 2 Km from from the beautiful and romantic Tenno lake. 10 min by car you will reach Riva, Arco for free climbing, or Torbole (surf paradise, where we give surf deposit facilities). Stefano loves climbing and will give you information about ways in our places, also for mountain bike and walking. 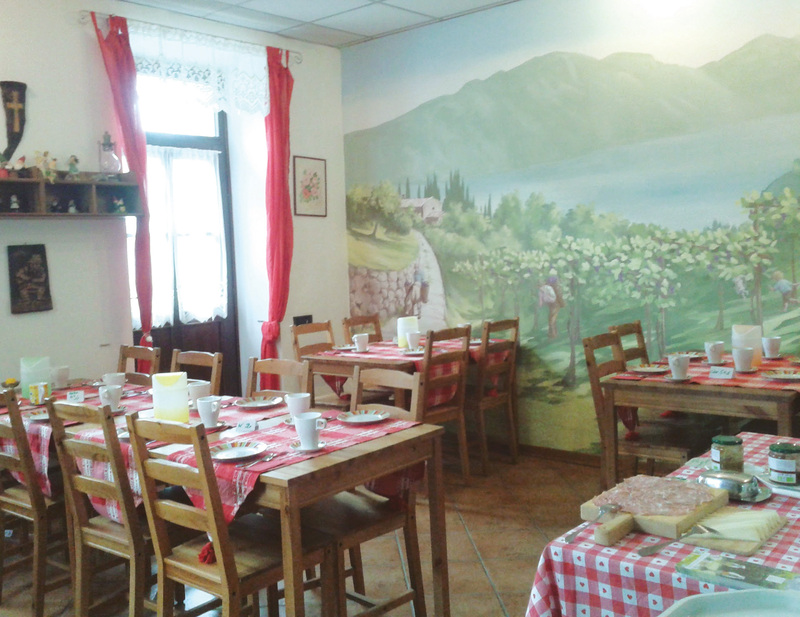 To rent there are double-rooms with bathroom with the farmer buffet-breakfast with organic products, some with Garda lake view. Family rooms offer 2 separate double rooms, a bathroom and a balkony. Ideal for families and for small groups apartments for 2 max 6 people with 1 or 2 sleeping room , 1 lounge with sofa and bed-settee and kitchenette with 2 electric hotplate, microwave oven, kettle, american coffee machine, bathroom with shower, little balkony. 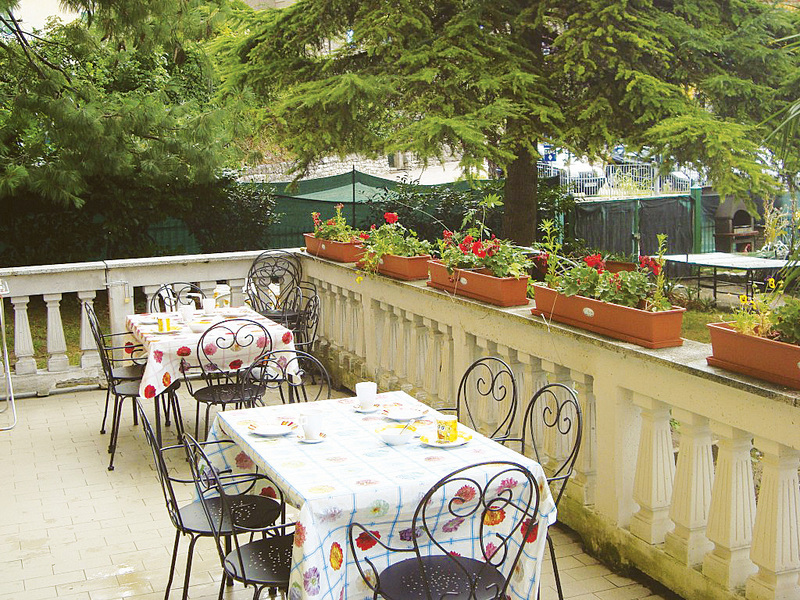 The house is in Liberty style renew but still have the estimade floors in “cotto” or wood from the beginning of 1900 and some rooms have antique furniture, have a big terrace, where in the summer you will enjoy the bio breakfast with buffet. 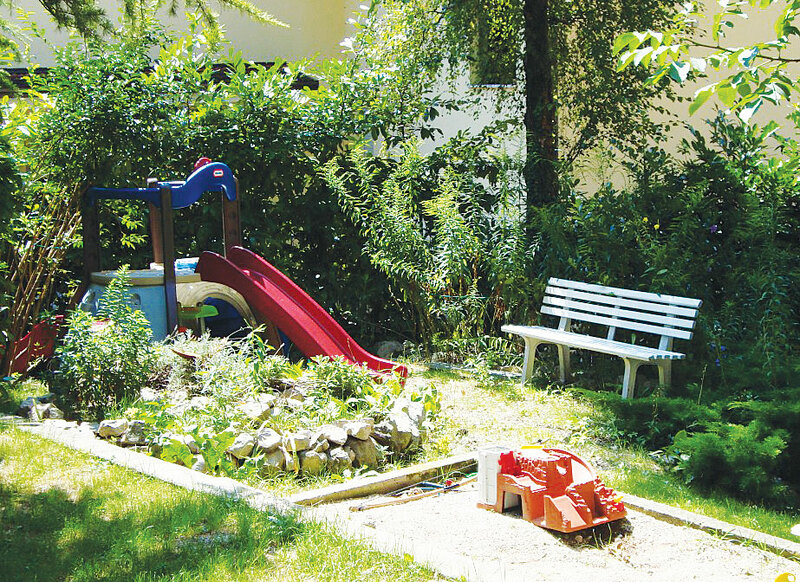 There are parking place, garden with play area for children, sand for kids, tennis table, barbecue area, a room for toys for children with a little kitchenette, deposit for mountain bikes. Our establishment is centrally located, near the house you can find a supermarked, bank, chemist, a big play area for children, 2 Tennis-courts , 1 football place, machine-shop-truck, bar and restaurants.